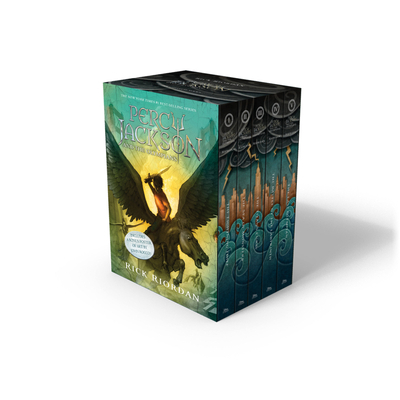 *"Riordan masterfully orchestrates the huge cast of characters and manages a coherent, powerful tale at once exciting, philosophical and tear-jerking. The bestselling series's legions of fans will cheer their heroes on and rejoice in such a compelling conclusion to the saga." *"The wit, rousing swordplay and breakneck pace will once again keep kids hooked."